Wandering and Wondering: #AtoZChallenge "A"
Robin Carr, a well-published author wrote, "A great writer chases her heroine up a tree and then throws rocks at her." . Rocks to throw at your heroine after you've run her up a tree? Probably depends on the genre of your story. Lots of 'A' words come to mind: Anger, Attitude, Aliens, Attacker, Addict. Today, though, we're going for the literal and obvious! Apples! Walking down a dusty, country road, our heroine spots a huge apple tree. The tree's knarled and ancient bark makes her wonder if Johnny Appleseed himself must have planted it. Many tempting, red apples have dropped to the ground. She really can't think of anything more inviting than a juicy apple. Stepping off the road, she searches the fallen apples but each one is well on it's way to inedible. Looking up into the branches, bright, ripe apples promise to satisfy the tummy-rumbles that the grounded apples ignited. She climbs the ancient tree, finds a nice comfortable branch and picks the closest crimson fruit. As she takes her first bite, an apple ricochets off her shoulder! One especially rotten one explodes off her knee. These are not apples losing their fight with gravity and falling from the branches. "Hey! Those are my apples you're stealing!" calls a deep voice from the ground just as another overripe apple hits her in the forehead! Of course, you know that a handsome yet intimidating man is smiling from under the tree slinging the rotting fruit, His presence promises a rough and rocky beginning but a happy ending of true love. Personally, I prefer the thought of our heroine strolling down a dirt path in an ancient orchard, when she is suddenly pummeled with apples by several fairies who are guarding the secret entry to their kingdom. Or, maybe, while our heroine is chomping on the juicy fruit a bear comes to join her. Masking her fear, she drives him away slinging the ripe globes and obscenities! Reminds me of the adage, "An apple a day keeps the doctor away...especially if you have good aim" Looking forward to the rest of your entries. Forgot that one! I might have to purchase a bushel of apples and practice good health. 'a' is for 'asshat' (see donald dump)! Great beginning for the blog hop. Really rocky beginning for a romance. But those are usually the best kind. ...and a sprinkle of cinnamon! 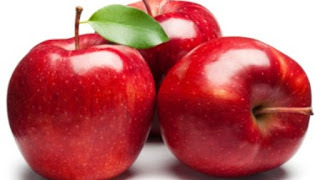 Agree with your first commenter - A is for Apples reminded me of the adage about apples and good health. Enjoyed your humorous take on the letter. Thank you. I think this is going to be a blast (and a challenge)! This is wonderful. I love the idea, the reminder. This will be fun. Thanks, I think it will be fun. Apples are good for eating, as well as ideal for throwing. The really soft ones from the ground are excellent for batting practice!